I have worked around animals my whole life, so working at the zoo is exactly what I want to do. I absolutely love everything about my job and know how lucky I am to be one of the keepers. The daily interaction with the animals is the best part of my job. Each animal at the zoo has a unique story to tell and they are all so special. When asked what my favorite animal is at the zoo, I have a hard time answering. They all have a special place in my heart. Harley, our male grizzly has a tremendous personality, I love watching Lotus the Badger to see what antics she is up too. The Mountain Lions are so regal and powerful and the raccoons all hold a place in my heart. One of the best parts of my job is that I am the main keeper for the Snow Leopards. These two girls are so beautiful, intelligent and special. We are so lucky to have them here with us! Their health issues need monitoring daily and it is so important to me that I keep them healthy and well cared for. They are one of the animals at the zoo that is truly wild and they are extremely dangerous. I have to be on my toes at all times while working with them to keep them enriched and active in their enclosure. 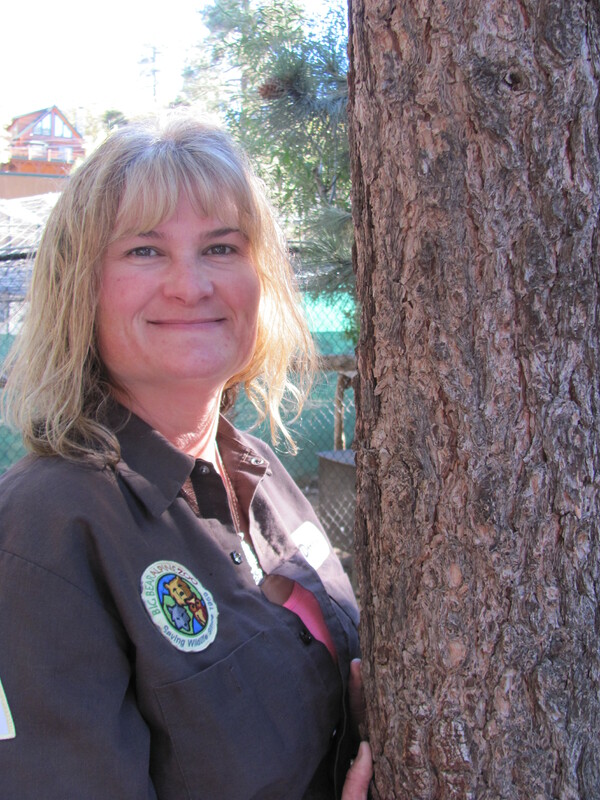 I truly hope to grow old with the zoo and want to make it my life’s work to make the Big Bear Alpine Zoo a wonderful place for these special animals to spend the rest of their life.